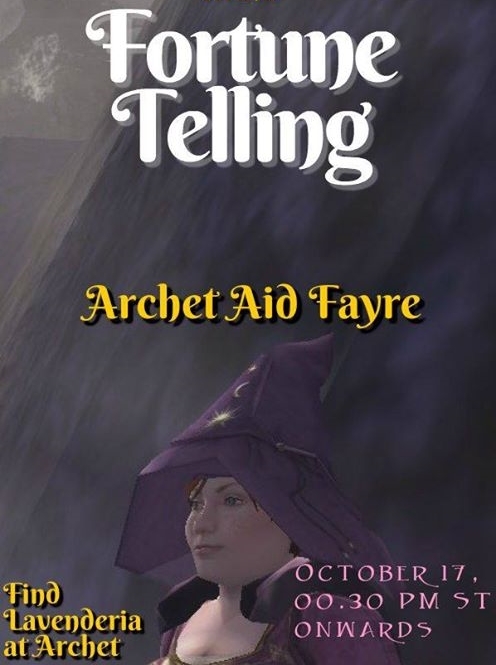 For the fourth time, the little town of Archet, right outside of Bree, is the scene for the Solidarity Fayre and Concert named ‘Archet Aid’. We aim to put the spotlight once again on those poor farmers of Archet and the condition their belowed city is in. After that fatal night a while back, most of the city is in ruins and even the local bar is burned down to the ground. These people need all the help they can get from the surrounding goverments in Combe and Bree, but after three successful events in this little town over the years, nothing have happened at all. So, grab your best garb, dancing shoes, neighbour and other friends and join us in Archet on the 17th of October to show your solidarity and have fun at the same time. 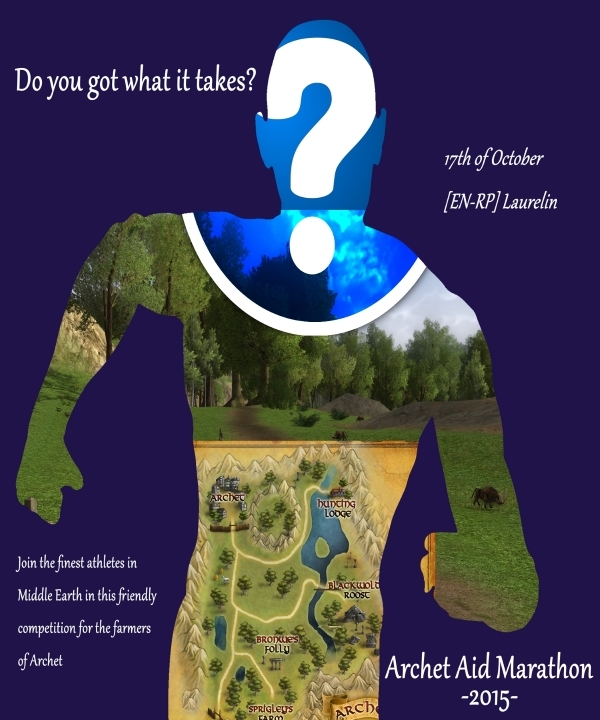 The ‘Archet Aid Fayre’ starts at 12.30pm /servertime just inside the gates of Archet with the ‘Archet Aid Marathon’. The opening of the Fayre will be at 1pm /servertime. The Archery Contest, a theatre play, a dwarf drill show, roaming vendors, bards and even a drunken backward race will put Archet as ‘the place to be’ this evening of merriment. The big concert that will start when the Fayre closes the doors, is one of the biggest ones we have had so far in the history of ‘Archet Aid’. We have 8 bands from four different servers signed up by now, and that might even be more when the time comes! So, grab your Fayre outfit, spread the word to your friends and kinship, and let us have a night of fun and laughter. For more information about events on this Fayre, take a look at the other pages on this site. ‘Archet Aid’ was created to combine the two most awesome things that ‘Middle-Earth’ has to offer. Music and the RP community! We hope you all will leave your weapons at home (if you are not contesting in any of the competitions), grab yourself an ale from one of our merchants, and take the time to enjoy and interact with the people around you in the setting of this ‘medieval fayre’. Use it as a ‘backdrop’ for your own personal RP story if you like. Grymrock, Merlas, Gildoin, Rosamundi, Athearil, Rimlins, Rillith.